About Us - Angel Pipes & Tubes Pvt. Ltd. 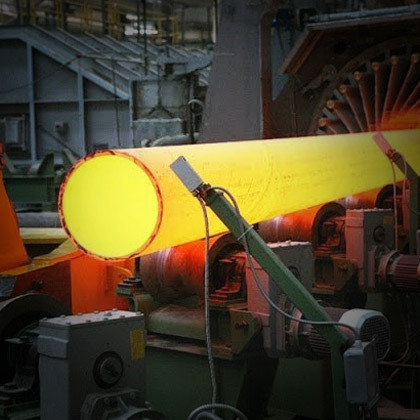 Since inception, the key task at APT has been to specialize principally in the manufacturing and supply of stainless steel pipes and tubes, keeping in mind a demandside perspective, a need for universal products continuously undergoing innovations in line with changes in the industrial structure and advances in science and technology. This has been made possible by relentless quest for continuous innovations and focused vision of the management. APT draws its strength from its technical excellence and a team of highly qualified and well experienced workforce, who strive to make high quality products in a professionally managed environment with transparency, to maintain long term business relations with its customers. Like the stainless steel pipes & tubes that we manufacture, the company is versatile in its thought process, strong and unrelenting in its operations, environment friendly in its manufacturing process, and relentless and committed to customer satisfaction and support. APT has a strong infrastructure paralleled with cutting edge technology producing a wide range of stainless steel pipes & tubes. The company has a production capacity of 10,000 MTPA of tubular products, with a huge size range from 3/8"OD to 24"NB, and excellent bead rolling equipments to ensure the best seam in the tubes. This has given the company a consolidated presence in niche markets of almost all the sectors like Petrochemicals, Chemical, Pharmaceutical, Fertilizer, Oil Processing, Sugar, Dairy, Furniture, and Automobiles. The company boasts of a strong record in terms of understanding customer's requirements and prompt, process response to the needs of a constantly changing market ensuring immediate availability of material which represents an increasingly comprehensive response to the client's requirements. Backed by technology, teamwork and enthusiasm for exploring new ideas, processes and products APT is poised to become a global player in the near future. The commitment we make to our clients has been documented in investment industry research as well as in our own findings, and is demonstrated in long-term client relationships which are the hallmark of our firm. APT’s strategic advantage lies in R&D, and our work on product upgrades, better utilisation of raw materials, development of substitute materials, new products and innovative applications. Our manufacturing expertise and capability combined with modern manufacturing facility with latest cutting edge machineries ensure consistent quality and high performance products.